Family, friends, and turkeys are the few required ingredients for a successful Thanksgiving get-together. Turkeys in particular are crucial as they are the de facto mascots of Thanksgiving day – and on and around that day they are everywhere, from Ford commercials and Macy’s parades to pre-heated ovens and classroom walls. But what if I were to tell you that there’s more to the turkey than it seems? That they go by different names depending on where they are and who they’re with, not unlike a double agent or a super secret spy. Supposedly, we in America call it a turkey because the early Europeans who settled here thought it came from the Turks. This would be news to the Turks, as they call the bird a Hindi, as they understood it to have originated from India. They weren’t alone in this either because the French, Italians, Polish, and Russians gave it names that point to their belief that it came from India. The Indians for their part know the bird as a Peru, in sync with their impression that the bird came from the South American county of Peru. By now, you’re probably eyeing your turkey a bit suspiciously. Maybe you feel a slight sense of betrayal even, like you’ve been hoodwinked by a life-long friend and companion. And if that’s the case, please take the time now to think about the things you love about turkeys. I’ll help you start: they’re juicy, flavorful, aromatic, nutritious, healthy, and they make the best leftover sandwiches. And to be fair, with its complicated background, the turkey should should fit right in at your Thanksgiving table – right between uncle Jerry and your cousin Marty, both with histories of their own but that’s for another conversation (one we’ll have after the kids have gone to bed). So this Thanksgiving as you are with your loved ones, I hope you enjoy your turkey with a new found appreciation. Like you, it’s come a long way to find its identity and calling. 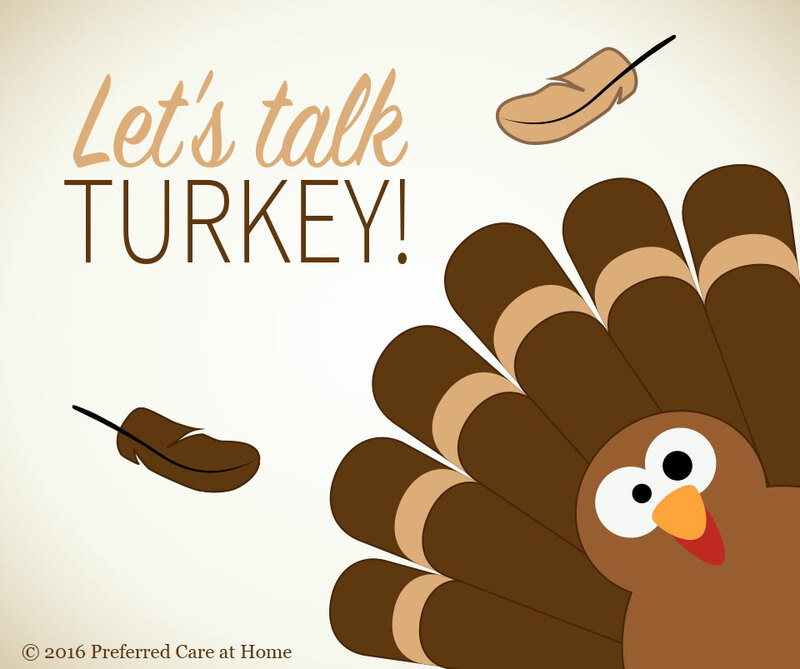 Have a Happy Thanksgiving, from all of us here at Preferred Care at Home!